Will Changing Your Behavior Change Your Blood Glucose Levels for the Better? 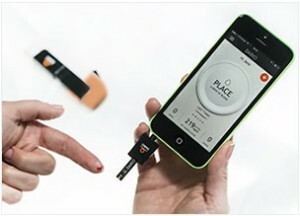 So are you ready to make a change to improve your diabetes management? 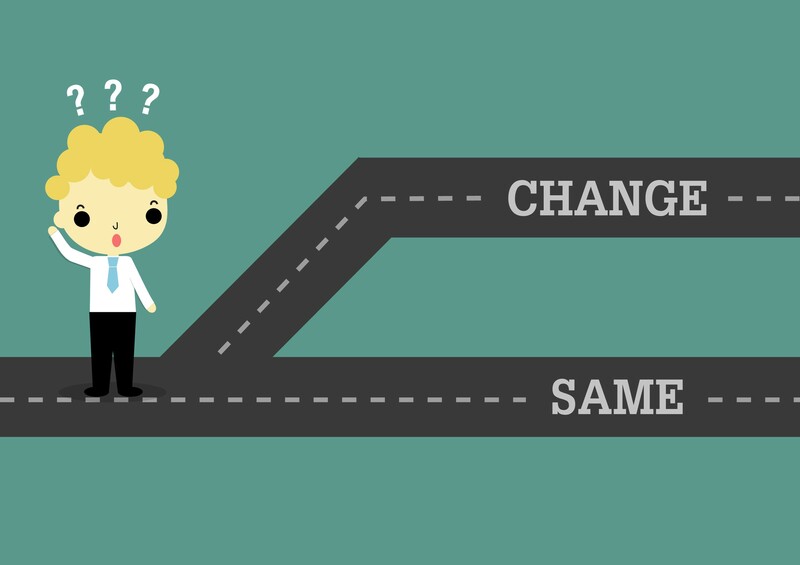 Experts break down behavioral change in 5 steps. The first two steps are pre-contemplation – noticing there is room for a change but you’re not ready to act yet – and contemplation– saying to yourself “Okay, let’s make some adjustments soon.” Recognizing the issue is half the battle. The next phase and a key to success in making any type of change in your life is preparation. What are you going to change and how are you going to it? While it is great to wake up one morning and decide to lower your carb intake or stop smoking, it is much easier said than done. If you want to change your behavior, you need to understand what your habits are now in order how to find the best way to change them. For example, when you feel like reaching for a cookie think about the following: what time of day is it? When is the last time I ate? Am I actually hungry? Am I angry or upset about something? Am I bored? Is there a healthy cookie alternative? How did the cookie make me feel after I ate it? For most people, cookies are pretty tasty and enjoyable, so given the way that sugar can give our emotions a positive boost it will probably make you feel good (at least for the moment). But did the cookie solve the real problem? Probably not. Journaling is great a way to tap into your behaviors and the feelings you have alongside them – and you can note these down right in your free Dario app. So much of what we do on a daily basis is emotionally driven, but we don’t pay attention to how our feelings are connected to the actions we take. It is also beneficial to weigh out the pros and cons of the behavior you want to change. Now let’s look at something a little more sizeable than deescalating our inner cookie monster. Let’s say that your doctor wants you test your blood sugar more often but you’ve had a hard time following through. What are the pros to testing more often? More readings, more often gives you more information you can use to understand your diabetes. This will give you and your healthcare team better insights for treatment and hopefully keep you healthy and avoiding long-term complications of diabetes like retinopathy and amputations. What are the cons? More testing means more finger pricks, more strips, more time out of my day and perhaps more thinking about my diabetes than I want to. Argh. While the cons may be cumbersome, the positives outweigh the negatives in this case. If you’re ready for the action phase, make sure that you have made concrete goals that you can measure your progress with, like increasing the number of times you test your blood glucose numbers from two to six times daily. Before making any changes, it is also good to discuss it with your healthcare provider to help you set reasonable goals. It’s great to want to reach for the moon from the get go, but successful change starts with manageable goals. In the beginning it may not be easy to make changes, but most people report as time goes on the temptations to abandon our goals (or eat a cookie) become less and less. And you can’t be too hard on yourself if you have any setbacks. The change process is more fluid and you may go between progress and regression from time to time on the way to getting what you want. This is normal and okay! Sometimes diabetes burnout gets the better of you and may need a little extra help and motivation. Check in with your doctor or another helping professional like a psychologist or diabetes coach to help you. If you have accomplished your goal, congratulations! But it’s not over yet. The final step in the change process is maintenance. Now that you have made it across the finish line, it’s time to keep up the good work and not fall back into old habits. And you can reward yourself too! Take your mate on a date to see that new Tom Cruise flick just for fun. If your goal was to get in more walking, get yourself a comfy pair of new sneakers to help you stay motivated and maintain your goal. Since managing your diabetes is really dependent on you and your daily habits and behaviors, knowing how to more successfully make changes in your behavior is essential to helping you stay healthy. 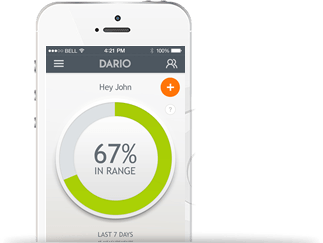 The Dario Smart Meter and App can really help you to achieve your long-term health goals. With your readings uploaded directly to your smartphone, a carb and activity log, and easy-to-read analytics that you can send off to your physician, the Dario Diabetes Management system can help you take your health care to the next level. Make a change with Dario today. Peyrot, M, & Rubin, R (2007). Behavioral and Psychosocial Interventions in Diabetes: A conceptual review. Diabetes Care 25: 10, p. 2433- 2440.